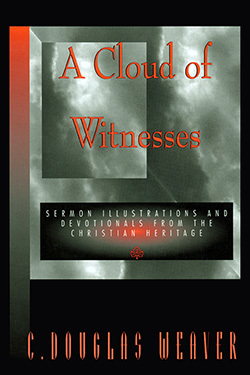 Classic stories, little-known episodes, famous sayings, and new readings of revelatory moments in Christian history comprise this anthology. This book is designed for those who may have recognized our Christian heritage as a fertile field of resources for teaching and preaching, but have not yet found the key to unlock its treasures. This fully indexed work opens the door. Indexes include a scripture index, contributors' index, article index, and topic index. C.Douglas Weaver was, at the time of publication, the Barney Averitt Chair of Christianity and chairman of the Division of Religious and Philosophical Studies at Brewton-Parker college. A graduate of Mississippi College (B.A.) and the Southern Baptist Theological Seminary (M.Div. ; Ph.D.), he has also taught church History at Bluefield College in Virginia. He is the author of The Healer-Prophet: William Marrion Branham, published by Mercer University Press.